For some reason, a stranger left Keykat with their pet dog. I guess Keykat looked trustworthy enough. But the dog doesn't seem to respond well to commands. Perhaps Keykat is better trained than the dog! This lesson I talk about the 고 말다 form, which can be used to convey the meaning that you've "ended up" doing something. Note that this lesson is geared more toward intermediate Korean learners, so you might want to skip it if you're still in the beginning levels, as the grammar used will be a bit difficult. 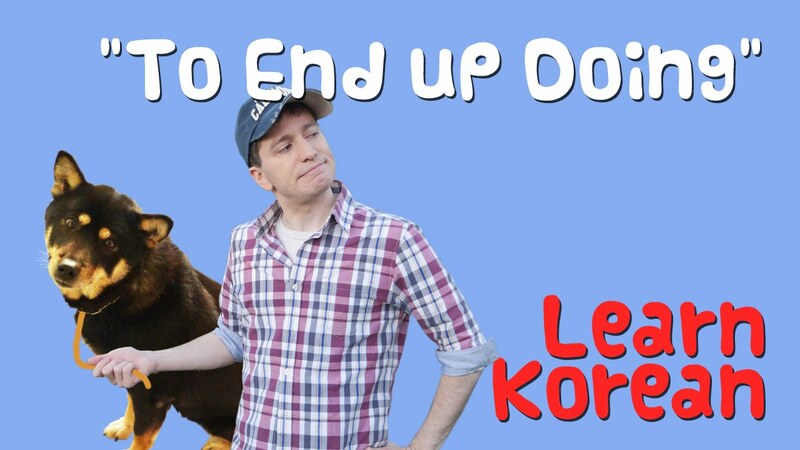 Remember that there are free PDFs available for every "Learn Korean" episode, and each contains additional information or examples not covered in the video.